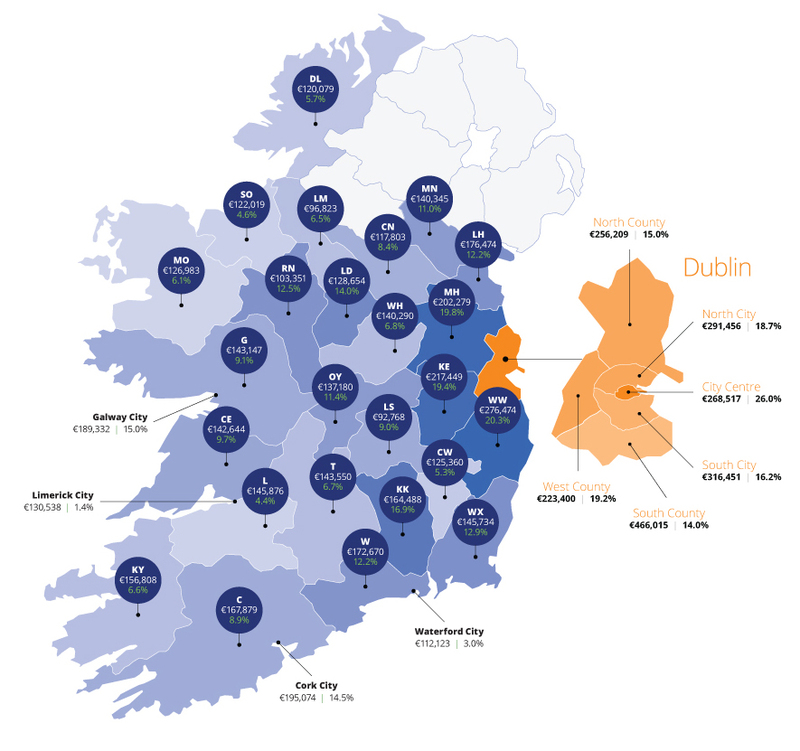 In Q1 2015, the average asking price for a property in Ireland amounted to €201,000, which was 4.6% more than in late 2014, and above €200,000 for the first time since mid-2011, according to the price index from the Irish portal daft .ie. Asking price for a property in Ireland was the highest in the middle of 2007 (€378,000), and the lowest – in mid-2013 (€170,000). The most expensive housing was in the South Dublin region (€465,015), whereas the average price tag in the capital of Ireland was €303,000. In the west of the country, in Galway, property cost an average of €189,332; in Limerick – €130,538; in Cork – €195,074; in Waterford – €112,123. Author of the daft.ie report Ronan Lyons said: "It is clear that the Central Bank rules have had an impact on the market. Dublin prices are now anchored to real economic conditions, with survey respondents expecting significantly slower house price growth now than a year ago. Similarly, compared to a year ago, a far higher proportion of respondents, in the capital and elsewhere, indicated the need to save for a deposit as a key reason for delaying buying a home."